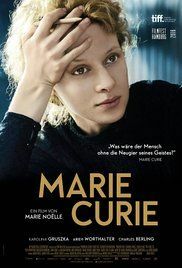 Marie Curie is a 2016 Polish drama film directed by Marie Noëlle. It was screened in the Contemporary World Cinema section at the 2016 Toronto International Film Festival. It made its United States premiere at the New York Jewish Film Festival in 2017. Read more on Wikipedia.